#Warcraft Episode 1 covers the departure felt around the World… of Warcraft! Waugh, Murphy, and Metzen leave Blizzard. Patch 7.1 is available for testing on the Public Test Realm (PTR) In it the Suramar story continues. The new Karazhan dungeon and Trail of Valor “mini” raid are included. Blood of Sargeras reagent trading vendor is being implemented. and 7.1 will have leveling abilities completely revamped. 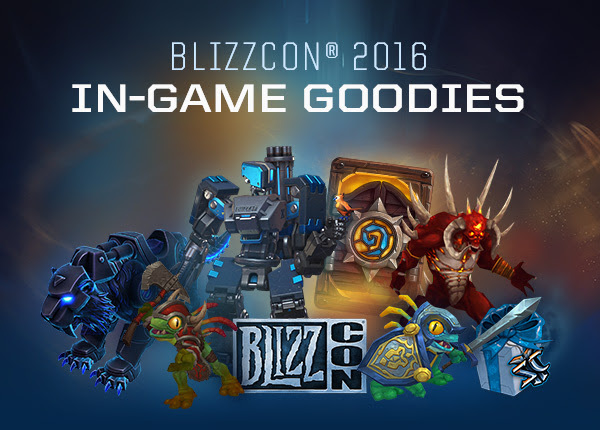 The BlizzCon 2016 in-game goodies were revealed. World of Warcraft will get faction special Murloc vanity pets. Overwatch will have a BlizzCon and Pepe inspired skin for Bastion. Diablo is celebrating its 20th anniversary with a Diablo pet. A new card back Hearthstone: Heroes of the Warcraft. A new mount for Heroes of the Storm. 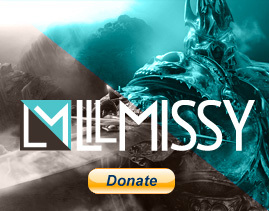 And mystery items for Starcraft. Players will be able to purchase a Battletag name change for $10/EUR 10. This was briefly available for free when Overwatch was launched. Former Chief Creative Office Rob Pardo and former Vice President of Art & Cinematic Development Nick Carpenter of Blizzard Entertainment have started their own gaming company called Bonfire Studios with the help of Riot Games. And finally, there were a few departures from Blizzard Entertainment: James Waugh, Tyson Murphy, and Chris Metzen. 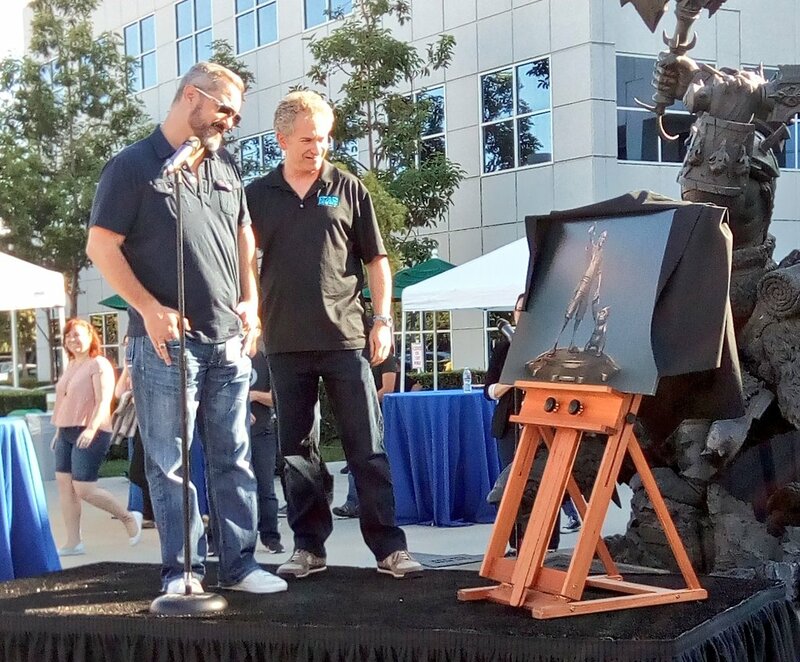 Senior Vice President of Story & Franchise Development Chris Metzen has retired from Blizzard Entertainment after 23 years of service. He can be considered among the pioneers of video game development having no college education–it just didn’t exist when he started. His beginnings into story are rather humble due to a Dungeons & Dragons campaign with friends. When he first began with Blizzard Entertainment, it was as an artist. Not long his artistic skill and passion for storytelling had him develop Warcraft II: Tides of Darkness, Diablo, and Starcraft at their early conception. In 2002, he became the Creative Director for all of Blizzard’s franchises. Though he had less hands-on for each game, he had developed a strong enough foundation for them to be built upon. His last story development venture was for Overwatch. Many will recognize him as a voice actor for some iconic characters within each franchise, such as Thrall, Varian Wrynn, Marine, Bastion, and the Skeleton King. He’s also been part of the opening ceremonies for the BlizzCon Events. Metzen is also credited for working on the Warcraft film screenplay. Throughout the week, co-workers and fans alike share their stories on social media. Some even expressed concerns on how different BlizzCon will be without him at the opening ceremonies. “Geek Is” was among fans top favorite opening speeches from BlizzCon 2010. On September 16, 2016, the campus was packed for his send off. A unique “Blizzney” statue concept was revealed to be his parting gift. While it’s sad to see Metzen retire, it is amazing that he managed to accomplish it at age 42. Not many get to retire early and spend it with family, especially with children who are still growing up. Most, if they’re lucky to retire, spend it with an “empty nest”. But Metzen’s retirement overshadowed other departures. However, their leaving won’t be any less felt. Senior Director of Story & Creative Development James Waugh is leaving the company after 8 years. He contributed to game content and world building for all franchies within Blizzard Entertainment. There is currently no word on his future career path. Tyson Murphy was a Lead Character Artist for World of Warcraft the last five years. Most of his art is present in parts of Hearthstone, but he worked on concept pieces for Legion. Some of them include early pieces of Demon Hunters, Nightfallen, and a few Artifacts. 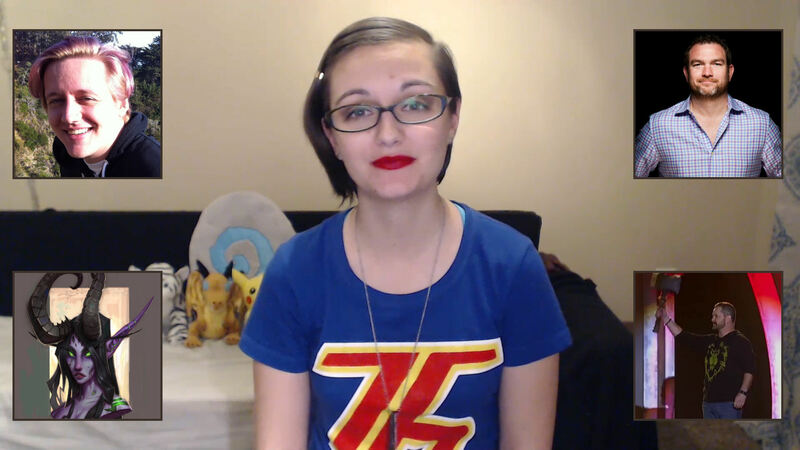 Murphy will be joining Riot Games. And though Lead Quest Designer Craig Amai is not leaving Blizzard Entertainment completely, he is departing from Warcraft after 9 years. He dedicated the last of his time with the franchise on Legion‘s Artifacts and Class Halls. Please share you memories in the comments on either YouTube or below. Let me know how the Quick News recap at the start of the episode went. And don’t forget to like, share, and subscribe!